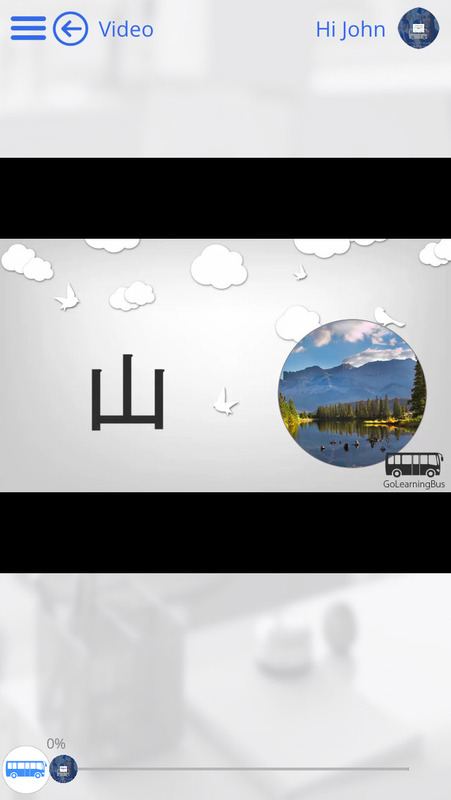 GoLearningBus brings you simpleNeasy, on-the-go learning app for "Learn Chinese via Videos". 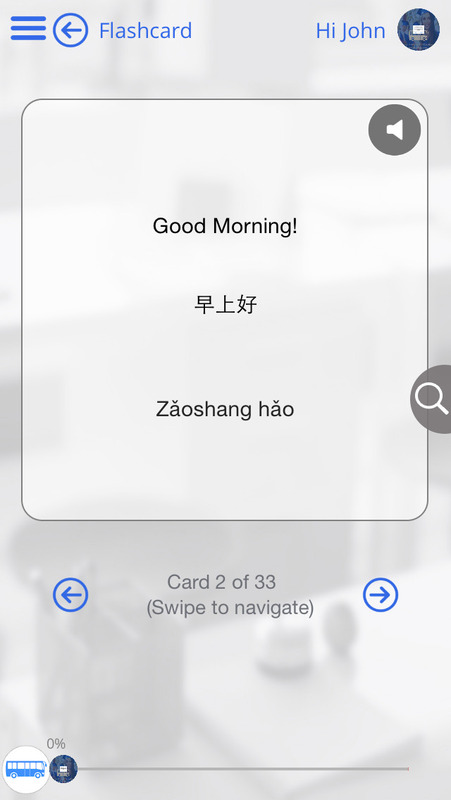 It enables you to grasp Chinese words and phrases useful on the road, when mingling with Chinese speakers, in day-to-day or family life, and when working. 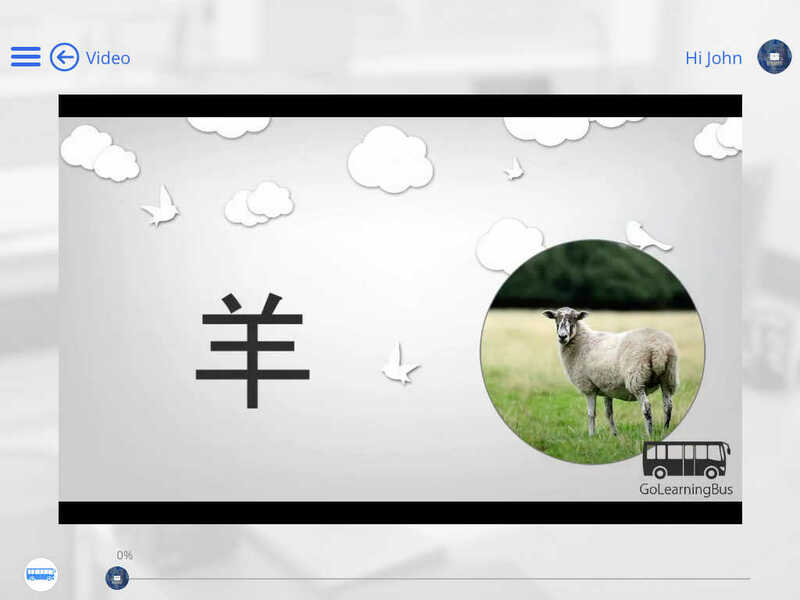 Our Chinese lessons make you learn Chinese words and phrases quickly. Before you know it, you can easily utter Chinese words and Chinese sentences! 2. 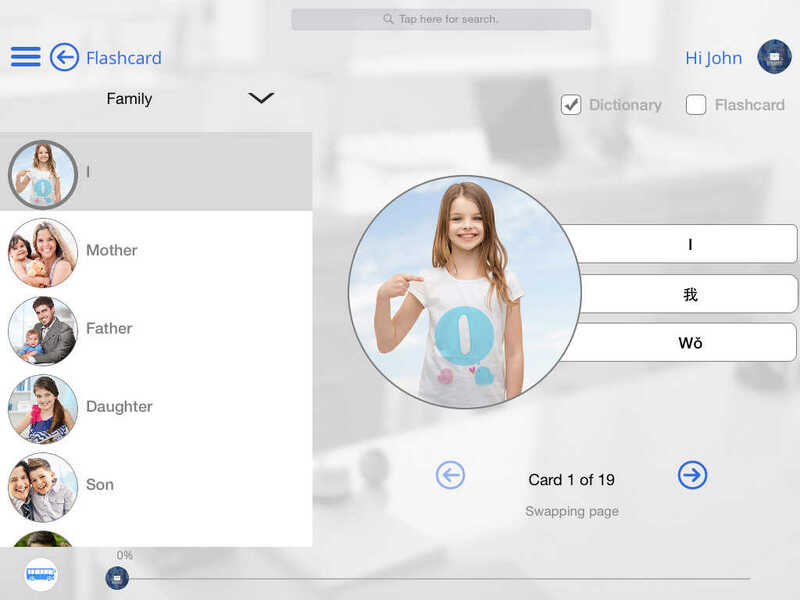 Phrasebook: Use our interactive phrasebook to read phrases for the below mentioned topics. You can hear its pronunciation at any time by tapping on the card! 4. Vocabulary: Use our vocabulary to look up basic words. Each entry includes a corresponding translation & pronunciation recording, that lets you hear how the word is pronounced by a native speaker! 5. 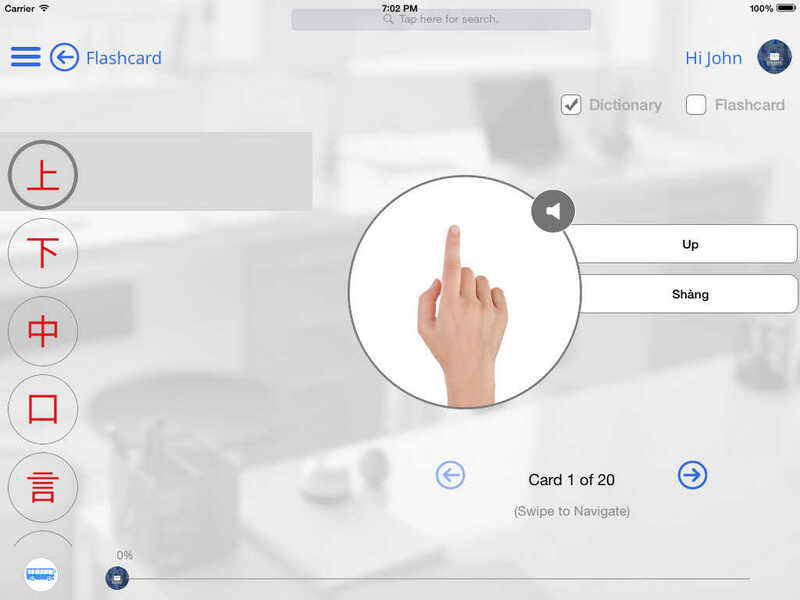 Flashcards: Review what you've learned at any time by using flashcards, by tapping to see the meaning of the word on the other side of the card! 6. 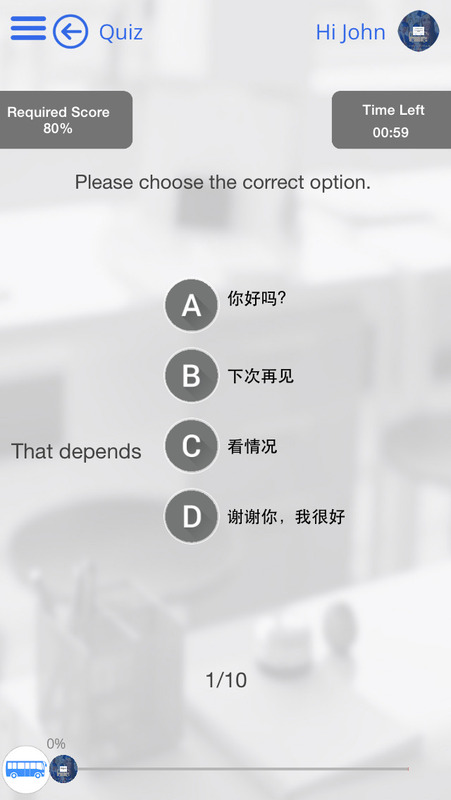 Multiple Choice Quizzes: For any category you can take a multiple choice quiz, take it as many times as you like, and share your final score with your friends!